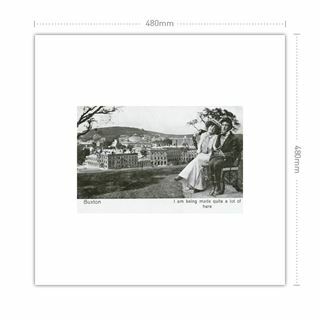 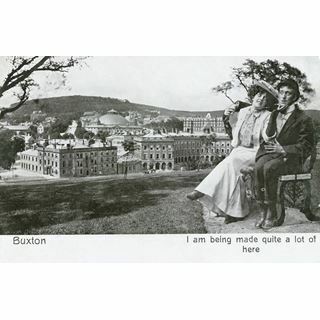 Novelty postcard showing a courting couple superimposed on a view of The Crescent, Buxton, c 1910 ? 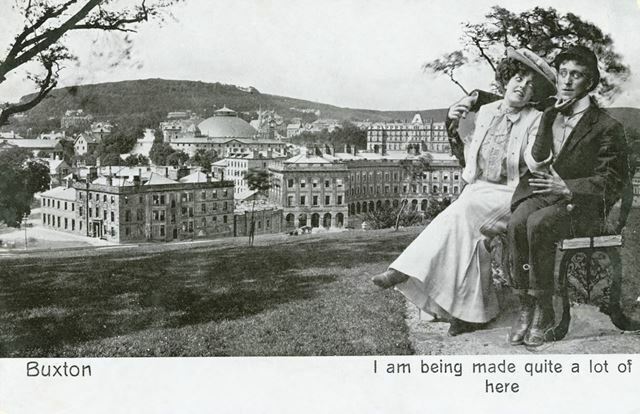 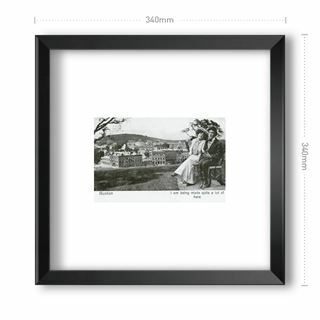 Lady and gentleman seated on a bench superimposed on a view of The Crescent and the Old Hall Hotel. 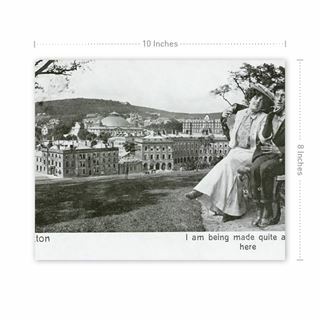 Titled 'I am being made quite a lot of here'.